This week was a special one for our family; my Mum's "big" birthday. I will spare telling you the exact number as I'm not sure she'd want me to (even though, as I'm sure you'll agree, she's looking pretty awesome right now) but regardless, it was cause for celebration. All six of us headed down to the Cotswolds for a weekend of rest, relaxation and intensive "Pit" playing (if you don't know the game it's excellently competitive... and none of us are exactly wall flowers). One of the lovely things about blogging is when a brand comes to you with a project that is just so fitting. 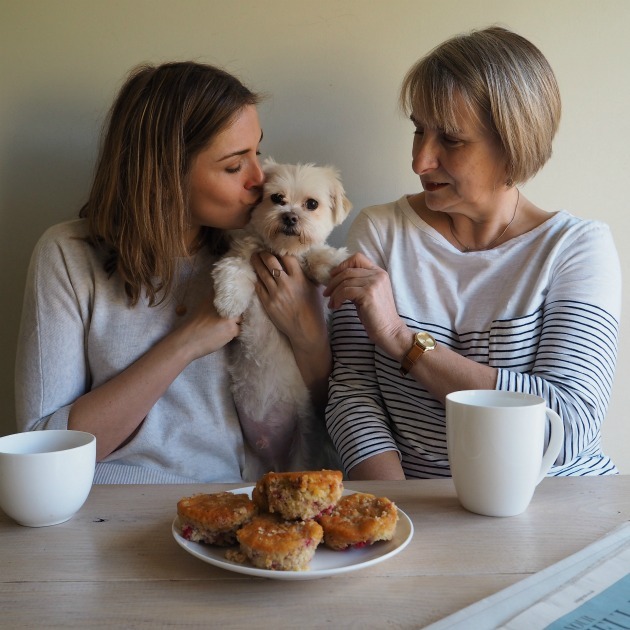 The White Company asked me to share what I planned to gift Mum for Mothers Day and as she'd most likely be getting something from the store regardless of the project - and it was her birthday - it seemed perfect! Mum's never been on the blog before but once we got Lopez in to liven up the scene she was fine (and very excited about her new top, here). Before I kick off with the gift edit, I wanted to give a little mention to The White Company's clothing selection. I'd always associated it with lovely home pieces; candles, scents and towels, rather than womenswear. This is the first time I've ever worn any of their stuff and I'm so impressed. Anyone who follows my Instagram (here) will have spotted I'm living in this jumper, and I know a few of you have already bought it. It's so comfortable I wish I could jump out of the screen and show you! Above is a little selection of products I've subsequently picked out (seriously recommend the jeans too, and this cashmere hoodie for £66 here). So, kicking off with some gifting ideas. If your Mum is anything like mine she's a nightmare to buy for. Firstly she's very good at shopping, much to Dad's dismay. If she wants something she'll just go and get it for herself. Presents really do have to be something special and especially with The White Company because she loves it and knows all the scents (Lime and Bay is her favourite, followed by Seychelles) and probably already has a wish list in her head. With that in mind an immediate choice was the large candle here, and a trio of candles to encourage her to test out the "Flowers" scent too here. 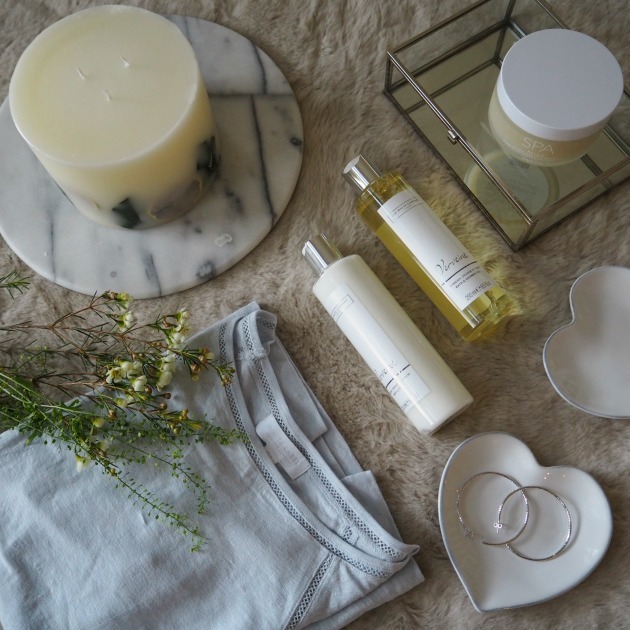 I tried to put together the idea of a lovely evening in, so added pyjamas here, bath scrub here, bubbles and body lotion here (again, she's had these before so I know she loves them) and my favourite White Company product: cashmere socks. At £35 they've most definitely a treat but once you've tried them you'll fully understand why they're worth the money. They're a perfect gift for the girl who has everything. I love sitting at home, post bath in fresh nightwear and cost socks. Nothing can beat it. If you want to be a little more personal, photo frames are a great option. I house this "floating" frame here and found a picture of my sister and our late cat, Mac which reminds me of really happy, chilled times growing up (it's about ten years old). Everyone loves flowers too, I bought a bunch from Bloom and Wild (they're amazing for busy bees like my Mum because they post them through the letter box, check them out here) and then found a couple of vases (this single flower one here and a much larger one here) to get them ready for her in. 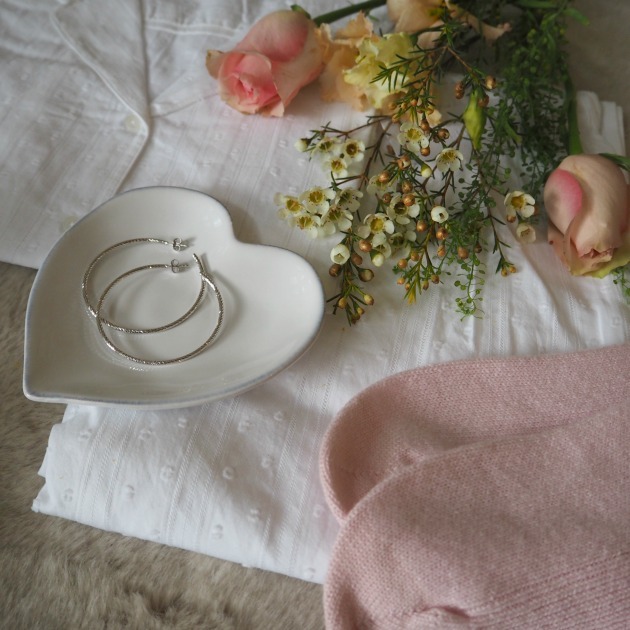 Finally, I'd never really considered The White Company for it's jewellery so the silver heart necklace and hoop earrings arrived I was really keen to test them old. For the quality, they're exceptional value and a lovely keepsake for your Mum. 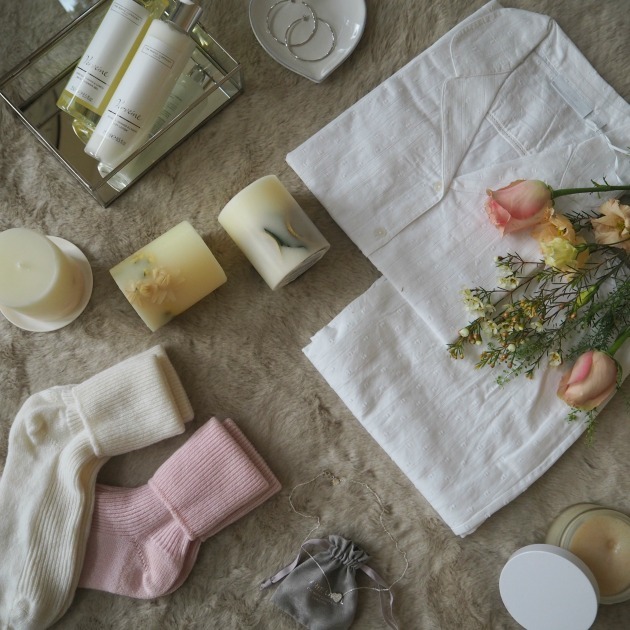 If you're still struggling do check out The White Company's own Mothers Day edit (including some super cute wrapping ideas) over on their site here. This post was so fun to put together, it's always so lovely to get others involved in your content. This Mothers Day is going to be a little bittersweet as it's the first without my grandmother, so it was lovely to inject some fun into it for Mum on her special weekend. Dad is very keen for you to know what the cakes in our photo at the top of this post were the trial run, and the second lot were much neater. The kids didn't care though; we ate them in seconds after the photos were finished! This post was in collaboration with The White Company. All products choices, styling and images my own (and Mum's). Flowers from Bloom and Wild here. Photos taken using the Olympus PL7 here.